Our training workshops, seminars and other events offer practical knowledge and promote informed dialogue on a range of contemporary issues relevant to mental health professionals, consumers and carers. MHCC ACT members receive discounts on all training events. Attendance is open to sector employees, consumers, carers and the public. The 'Peace in Practice’ workshop has been designed by the Quest for Life Foundation to increase the compassion, skill, capacities and knowledge of health and wellbeing professionals. Focusing on resilience and self-care, participants at this workshop will leave equipped with a tool kit of strategies to support their work, which are based on the latest scientific research on health, healing, neuroscience and epigenetics. A great way to start afresh for the New Year! 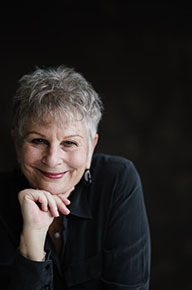 The workshop will be led by Petrea King (pictured below), Founder and CEO of the Quest for Life Foundation. She is a best-selling author of 9 books and a dozen meditation practices, a frequent keynote speaker at medical and other conferences, a facilitator, teacher and trainer. For the past 15 years, Petrea has been a monthly guest on the ABC Radio’s ‘Midweek Conference’ and ‘Nightlife’ where she discusses the challenges of living a meaningful life in the midst of illness, trauma, difficult circumstances and tragedy. This is a two-day workshop running on Wednesday 27 and Thursday 28 February, starting at 9.00am on both days and running until 5.00pm. Venue is in Civic, see the 'Eventbrite' page for details. Your attendance at this two-day workshop is heavily subsidised (by over 75% for the average attendee) by the Mental Health Community Coalition of the ACT. Book soon! - 'Early Bird' pricing ends 3.00pm on 24 January.